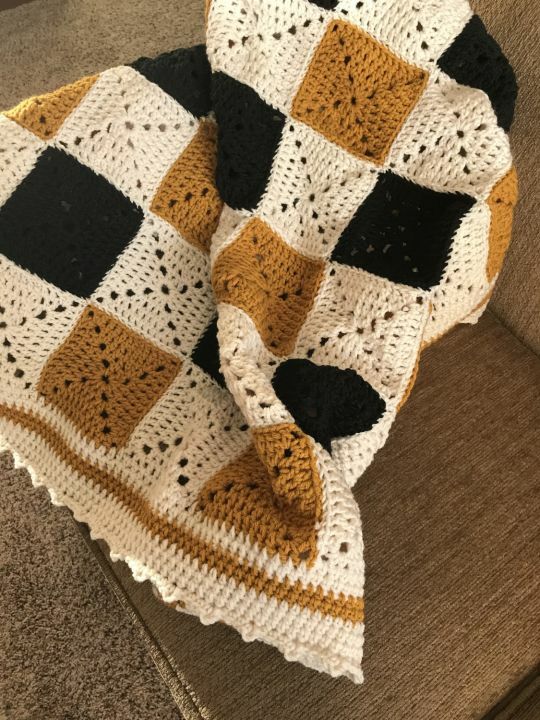 Crocheted this solid granny square throw for a sweet lady. Used the colors to match UMBC (University of Maryland, Baltimore County), her university she graduated with B.S. Easy to make. Used a basic pattern to make the squares.